Our experienced HVAC technicians at Comfort Services, Inc. are licensed and certified to service all air conditioner makes and models. Contact us today to schedule an appointment for an air conditioning tune-up. We serve customers in Pinehurst, Southern Pines, Aberdeen and many areas of North Carolina. Duct sealing and duct insulation. Has your ductwork system been checked for leaks or undergone leak-sealing improvements? If not, consider having this work done by Comfort Services, Inc. Leaky ductwork can diminish the performance of forced-air heating or cooling by as much as 40%. If some of your ducts are located in unconditioned spaces like crawl spaces and attics, also consider having these ducts insulated to improve efficiency. If your air conditioner requires more than just the regular maintenance, Comfort Services, Inc. has a team of certified service technicians who can help. Our experts will inspect your air conditioning system and fix any issues before they become costly problems. Call us at 1-855-800-2275 to setup an appointment or get an online quote today! 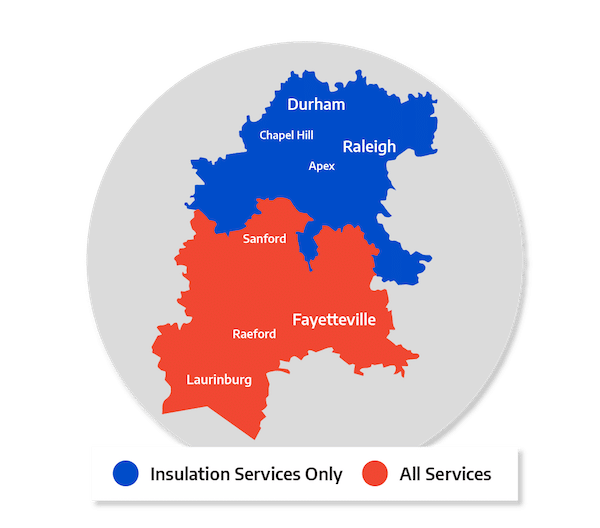 We provide air conditioning maintenance and services to residents of Southern Pines, Aberdeen, Pinehurst, Garner, Apex, Fayetteville, Chapel Hill, Fuquay Varina, Fort Bragg, Durham and nearby.